Oxsoralen® is the registered trademark of ICN Pharmaceuticals Inc.
Possible Uses of Oxsoralen: This medicine is a photosensitizer used to treat severe psoriasis. It may also be used to treat other conditions as determined by your doctor. Before using Oxsoralen: WARNING: Because serious side effects could occur during treatment with methoxsalen ( eye lens damage, other skin problems), patients must be carefully selected and be under close medical supervision. Different brands of this drug are not interchangeable because they have significant differences in how they act in the body. Some medicines or medical conditions may interact with this medicine. INFORM YOUR DOCTOR OR PHARMACIST of all prescription and over-the-counter medicine that you are taking. ADDITIONAL MONITORING OF YOUR DOSE OR CONDITION may be needed if you are taking medicine for seizures. Inform your doctor of any other medical conditions, allergies, pregnancy, or breast-feeding. Contact your doctor or pharmacist if you have any questions or concerns about taking this medicine. How to take Oxsoralen: Follow the directions for using this medicine provided by your doctor. THIS MEDICINE COMES with a patient information leaflet. Read it carefully. Ask your doctor, nurse, or pharmacist any questions that you may have about this medicine. TAKE THIS MEDICINE with food or milk. Precautions When Using Oxsoralen: KEEP ALL DOCTOR AND LABORATORY APPOINTMENTS while you are taking this medicine. DO NOT SUNBATHE for at least 24 hours before receiving this medicine and light therapy. AFTER YOUR TREATMENT, avoid any exposure to sunlight for at least 8 hours. This includes indirect light through a window or on cloudy days. If you can not avoid exposure to sunlight, wear protective clothing, or use a sunscreen with a sun protective factor ( SPF) of 15 or greater, as directed by your doctor. Protect all areas of the body, including lips, from sun exposure. Do not sunbathe or use a tanning booth without checking with your doctor and wait at least 48 hours after your treatment. TO PROTECT YOUR EYES, wear special wrap-around sunglasses that absorb UVA during daylight hours for 24 hours after taking this medicine. Regular sunglasses do not adequately protect your eyes because they allow light to enter from the side. FOR WOMEN: IF YOU PLAN ON BECOMING PREGNANT, discuss with your doctor the benefits and risks of using this medicine during pregnancy. IT IS UNKNOWN IF THIS MEDICINE IS EXCRETED in breast milk. IF YOU ARE OR WILL BE BREAST-FEEDING while you are using this medicine, check with your doctor or pharmacist to discuss the risks to your baby. Side Effects of Oxsoralen: SIDE EFFECTS, that may go away during treatment, include nausea, itching, dryness or redness of the skin. If they continue or are bothersome, check with your doctor. CHECK WITH YOUR DOCTOR AS SOON AS POSSIBLE if you experience severe swelling or redness of the skin, tenderness or blistering, or rash. If you notice any unusual effects, contact your doctor, nurse, or pharmacist. Drug Interactions of Oxsoralen: Drug interactions can result in unwanted side effects or prevent a medicine from doing its job.Inform your doctor about all the medicines you take with and without a prescription. Missed dose of Oxsoralen: IF YOU MISS A DOSE OF THIS MEDICINE, check with your doctor because it may be necessary to reschedule your light therapy. Storage of Oxsoralen: Store at room temperature away from sunlight and moisture. Keep this and all medications out of the reach of children. 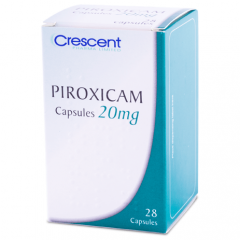 Other Information of Oxsoralen: If you are taking this medicine for gastric ulcers or reflux disease, your symptoms should improve within 4 to 8 weeks. If your symptoms do not improve or if they become worse, contact your doctor. DO NOT SHARE THIS MEDICINE with others for whom it was not prescribed. DO NOT USE THIS MEDICINE for other health conditions. KEEP THIS MEDICINE out of the reach of children. IF USING THIS MEDICINE FOR AN EXTENDED PERIOD OF TIME, obtain refills before your supply runs out.